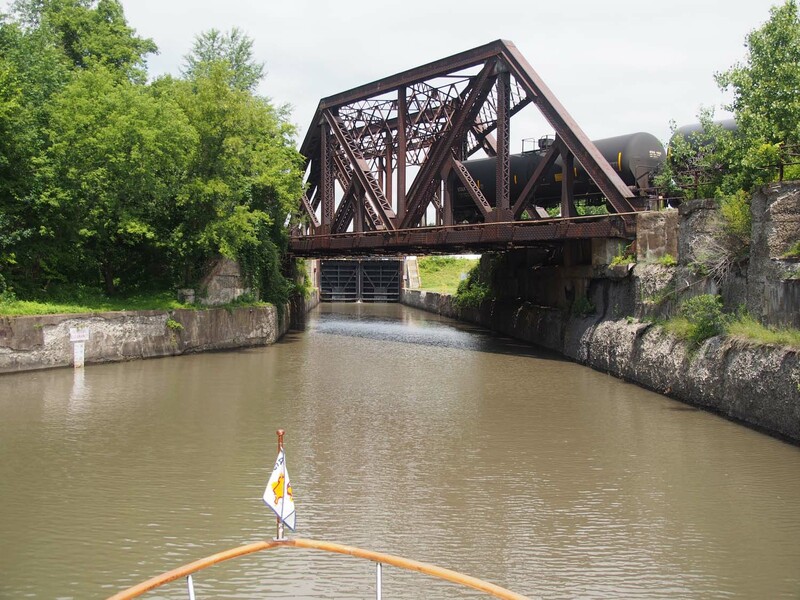 The Erie has been the most interesting part of our cruising yet, so I had to include a few more pictures. 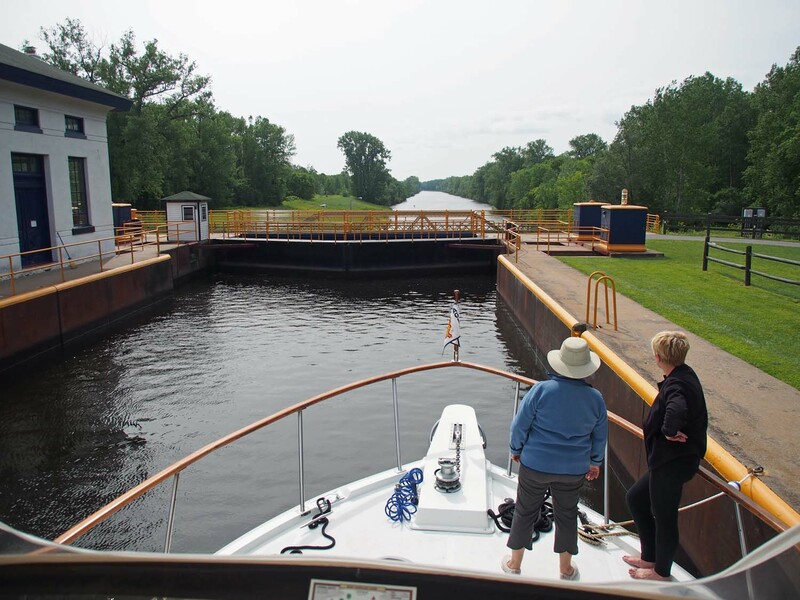 Will the Trent-Severn be even better? Can Sue and I do it on our own? We’ll see soon. Ready to exit one lock with another ahead. 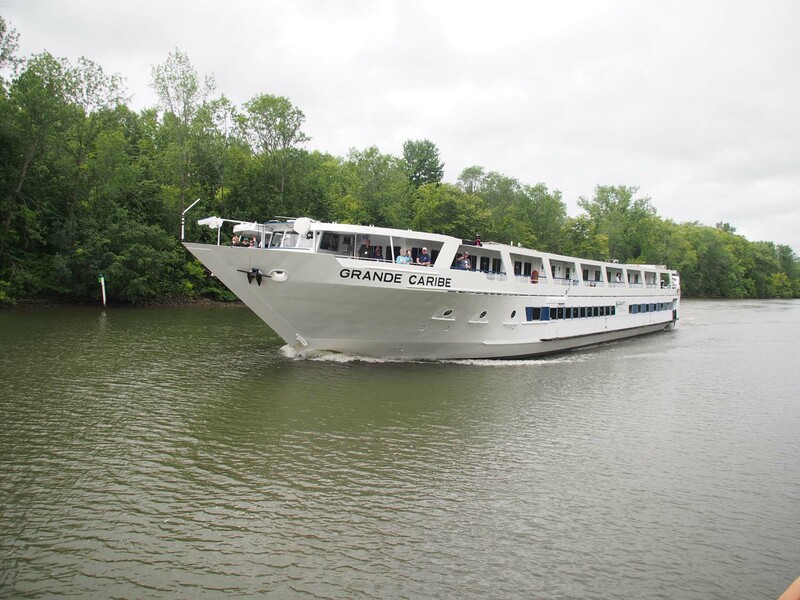 Erie cruise boats must clear 20′ bridges. In the east part it’s 15.5′. 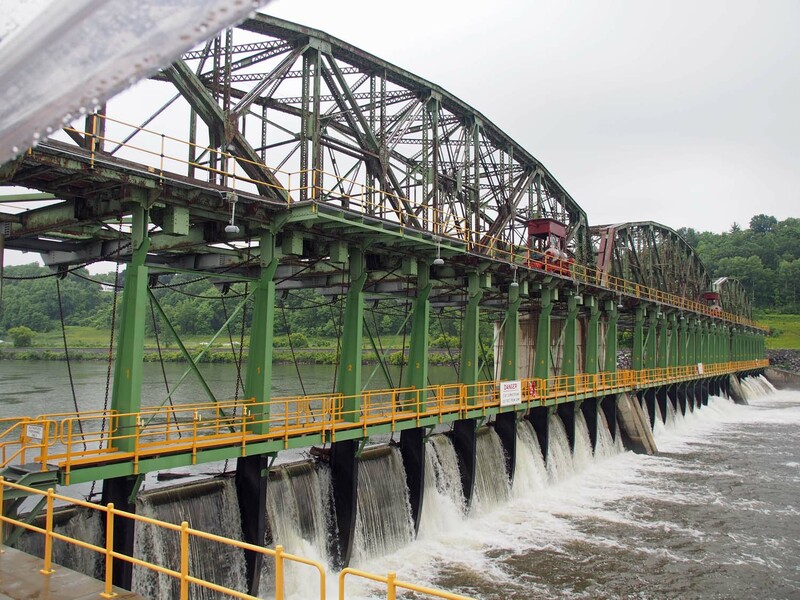 Another dam beside a lock. This one not so hard to get into. 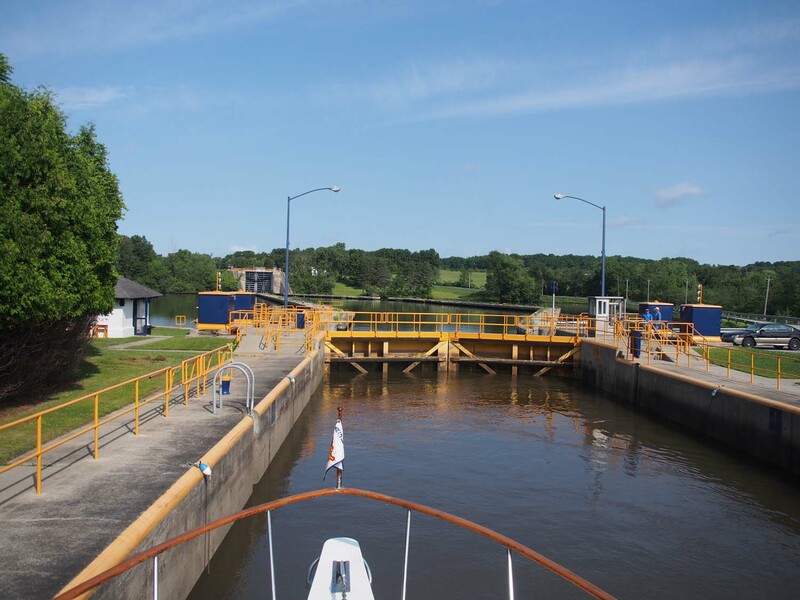 We had to wait here about 20 minutes while they flushed some wood out of the lock. 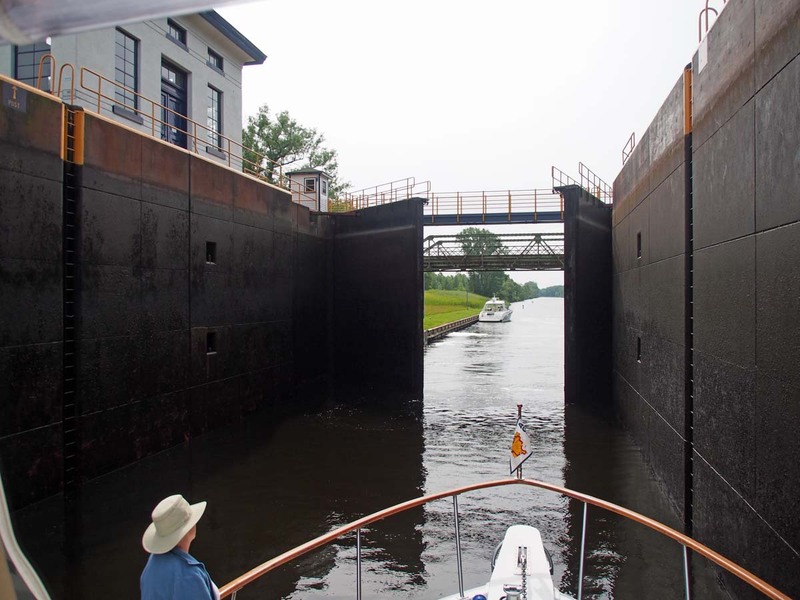 First down lock on the Erie. Different feeling to come in and look down ahead. Ready to leave first down lock.